SHEARD, CHARLES, physician, educator, publisher, and politician; b. 15 Feb. 1857 in Toronto, son of Joseph Sheard and Sarah Tuke; m. there 10 July 1884 Virna Stanton, and they had four sons; d. there 7 Feb. 1929. The son of a builder-architect and future mayor of Toronto, Charles Sheard was raised in the rapidly expanding city of the 1850s and 1860s. After attending Upper Canada College, he enrolled in Trinity Medical School, from which he graduated with an mb in 1878. He then went to Britain and Europe for further training; when he returned to Toronto he was a member of the Royal College of Surgeons of England. Recognized as a leading exponent of scientific medicine and research, he lectured on histology at Trinity from 1880 until its amalgamation in 1903 with the faculty of medicine at the University of Toronto, where he had become a professor of physiology in 1883 and of clinical medicine in 1891. He had received his md, cm (master of surgery) from Trinity College in 1882. From 1884 to 1905 he was on staff at the Toronto General Hospital; there his innovations included sponsoring the use of the metrotome, a cutting instrument for uterine surgery. As professor of preventive medicine at the university from 1903 to about 1910, he promoted “the science of Sanitation” as a valid medical specialty. Sheard also established a successful private practice and became involved in medical politics. He was treasurer (1882-83), vice-president (1889), and president (1892) of the Canadian Medical Association and vice-president (1890) of the Ontario Medical Association. In 1887 Sheard and Dr John Lorenzo Davison had taken over publication of the Canada Lancet, the country’s premier medical journal; Sheard was a co-proprietor until 1893. He thus contributed to the modernization of Canadian medical practice not only through teaching, but also through participation in professional organizations and medical publishing. Between 1893 and 1910 Sheard had the opportunity to demonstrate his scientific credentials and business skills as Toronto’s medical health officer. 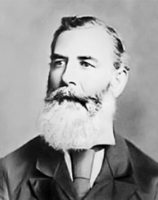 In 1890, after the resignation of the city’s first permanent officer, William Canniff*, he had been part of the committee formed to select Canniff’s successor. Its choice, Dr Norman Allen, a young Trinity graduate, lacked the business acumen required for the position and he was dismissed in February 1893. On 17 March Sheard was appointed on a full-time basis to give him time to reorganize the department before he resumed teaching. During his years in office Sheard introduced Torontonians to the bacteriological phase of the international public health movement. “A scientist to his finger tips,” in the estimate of the Globe, he improved the city’s procedures for handling communicable disease, began the bacterial testing of milk and water supplies, and agitated successfully for improved water and sewage systems. After the department of works was added to his jurisdiction in 1905, he moved to eliminate patronage there; his swift dismissals of incompetent employees earned him accolades from the Evening Telegram. Despite his concern for preventive medicine, Sheard, a social conservative, did not always support demands by reformers for increased government intervention. In 1907, for instance, he opposed calls for medical inspections in schools as a “fad” promoted mainly by women and intended to provide jobs for favoured doctors. Yet the same year he pressed the city’s Board of Health to hire, for the first time, a public health nurse to specialize in tuberculin testing and care. In March 1910, fed up with “the many disappointed cliques and influences existent,” he resigned as medical health officer. He was persuaded to stay on, however, to deal with an outbreak of typhoid (by chlorinating Toronto’s drinking water) and to conclude an inquiry into the Isolation Hospital. He stepped down for good later that year. By applying his expertise to controlling disease and improving urban services, Sheard had developed the infrastructure on which his successor, Charles John Colwell Orr Hastings*, would build. 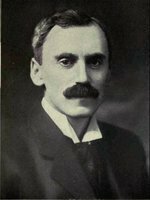 At the same time, Sheard had been able to continue teaching, and he served as president of the Association of Executive Health Officers of Ontario (1896), as an examiner for the Canadian branch of the Royal Sanitary Institute (1906), as a vice-president of the Toronto League for the Prevention of Tuberculosis (1909-10), and as chair of the Provincial Board of Health (1904-11). He supported professional development through the AEHOO and encouraged the inauguration, at the University of Toronto in 1904, of the diploma in public health, the premier qualification for future generations of Canadian health administrators. Following his withdrawal from public involvement, Sheard, then in his mid fifties, remained in private practice. He was certainly in comfortable circumstances: he enjoyed additional income from real estate holdings that included the valuable commercial block left to him by his father at the northwest corner of Yonge and Adelaide streets. An ardent hunter and fisherman, he belonged to the Ontario Jockey Club, the Church of England, and the Orange order. He lived on Jarvis Street in a prestigious residence designed by his brother Matthew, and owned a cottage with extensive rose gardens on Hanlans Point. His wife was prominent in her own right, as a novelist and poet, and all of their sons, destined for professional careers, attended Upper Canada College. Throughout his career Sheard combined scientific objectivity with strongly conservative politics. During World War I he returned to public life. 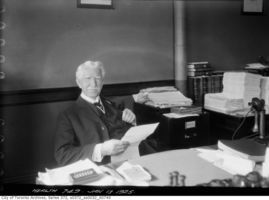 Running as a Unionist candidate in Toronto South in the federal election of 1917, he easily defeated labour candidate David Arthur Carey. In the House of Commons in 1919 he participated in the debate over the bill creating the Department of Health, described by its sponsor, Newton Wesley Rowell*, as “a new departure” in the emphasis it placed “upon the conservation of the health of the people and upon their social welfare.” Sheard supported the bill in principle and contributed his professional knowledge, in proposed amendments, to defining the role of the new department. Opposed to unwarranted federal intervention, he argued that it must not infringe on provincial or municipal jurisdictions and must be headed by an effective medical scientist and backed by a bureau of scientific research. In other debates he expressed concern over employment for returned soldiers, applauded the creation of the Civil Service Commission (though he questioned its criteria for appointment), supported demands for funds to dredge Toronto harbour, and advocated stronger legislation on patent and proprietary medicines. In 1921 Sheard successfully ran for re-election, under the Conservative banner, but he had a much tougher campaign against his well-known Liberal-labour challenger, James Murdock*. Chosen to reply to the Liberals’ throne speech of 1922, he did not run in 1925. He died four years later. Charles Sheard’s career represented the transition from doctors as “professional gentlemen” to research scientists. His teaching, in particular, was important for diffusing European knowledge among Canadian practitioners. Likewise, his public service demonstrated the slow evolution from committed amateurs to academically trained medical health officers. Charles Sheard’s publications include his presidential address to the Canadian Medical Association, in the Montreal Medical Journal, 22 (1893): 293-96; “President’s annual address,” Assoc. of Executive Health Officers of Ontario, Report of the annual meeting (Toronto), 1897: 31-39; “How to prevent outbreaks of infectious diseases among school children and the best methods to adopt tending to limit and suppress these diseases,” Canadian Journal of Medicine and Surgery (Toronto), 15 (January-June 1904): 153-57; “City of Toronto disposal of sewage and water filtration,” Empire Club of Canada, Addresses (Toronto), 5 (1907-8): 66-80; and “Disposal of household waste,” Canadian Therapeutist and Sanitary Engineer (Toronto), 1 (1910): 294-301 (there is a portrait of Sheard opp. p.287). Sheard’s reports to Toronto’s Board of Health appear in Toronto, City Council, Minutes of proc., 1893-94, 1896-99, 1904, 1907; edited versions of two of the reports were published in Ont., Legislature, Sessional papers, reports of the Provincial Board of Health of Ontario, 1895: 135-37 and 1896: 156-57. AO, RG 22-305, no.61309; RG 80-5-0-131, no.14543. City of Toronto Arch., SC 215 (Paul Bator coll. ), Charles Sheard, letter to mayor of Toronto and Board of Control, 22 Sept. 1910. University Health Network Arch. (Toronto), Toronto General Hospital fonds, Board of trustees, minutes of meetings, vols.3 (1880-93)-4 (1894-1904). Globe, 17, 20 Nov., 7, 17 Dec. 1917; 11, 22, 24 Oct., 23, 28 Nov., 1, 3, 7 Dec. 1921; 8, 11 Feb. 1929. Toronto Daily Mail, 1891, 1893. Toronto Daily Star, 24 Oct., 1-2 Dec. 1921; 8 Feb. 1929. P. A. Bator with A. J. Rhodes, Within reach of everyone: a history of the University of Toronto School of Hygiene and the Connaught Laboratories (2v., Ottawa, 1990-95). Can., House of Commons, Debates, 1918-24. Canadian men and women of the time (Morgan; 1912). Heather MacDougall, Activists and advocates: Toronto’s health department, 1883-1983 (Toronto, 1990). Wendy Mitchinson, The nature of their bodies: women and their doctors in Victorian Canada (Toronto, 1991). Trinity Medical College, Annual announcement (Toronto), 1880/81, 1890/91. Heather MacDougall, “SHEARD, CHARLES,” in Dictionary of Canadian Biography, vol. 15, University of Toronto/Université Laval, 2003–, accessed April 26, 2019, http://www.biographi.ca/en/bio/sheard_charles_15E.html.